The MCSA at its 127th Conference, meeting at the St Georges Hotel in Pretoria, expressed grave concern at the crisis situation currently characterising tertiary institutions in South Africa. 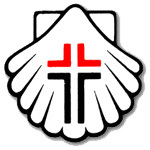 “We as the MCSA support the call for accessible quality education for all and hold the view that the current funding model for all education needs to be revised as a matter of urgency,” said Bishop Zipho Siwa, the Presiding Bishop of the Methodist Church of Southern Africa. We note with some disquiet the rapid deterioration of relationships between government, students and Higher Education authorities linked to the “fees must fall” protests and the seemingly unrequited student demands. In a bid to be part of the solution, the MCSA proposes to host a national 2 day Summit on Education with all affected stakeholders to develop a clearer, informed understanding of all the issues and partner towards a concrete programme of action that will contribute to sustainable resolution of this challenge. We affirm the work already being done by the church in particular the ministry of presence and encourage others to get involved too. We continue to pray for the Higher Education systems in the 6 countries (Mozambique, Lesotho. South Africa, Namibia, Botswana and Swaziland) in the MCSA Connexion.